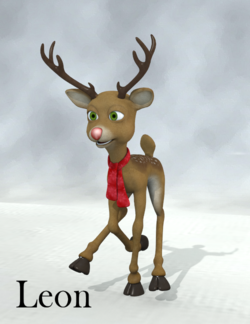 A toon deer of the "Rudolph" type with a snappy scarf for those special times. This was The3dZone's 2008 DAZ PA giveaway. This page was last edited on 30 March 2018, at 14:04.